Even when you specify Stretch=None for an Image control, you may notice that the image does not appear at the expected number of pixels wide/high. This can happen if the image’s resolution (DPI) doesn’t match your current system DPI. An image file (e.g. .png or .jpg) contains an image that is a certain number of pixels wide/high. An image file may also contain embedded DpiX and DpiY (resolution) information. This resolution information is not present in all image files. 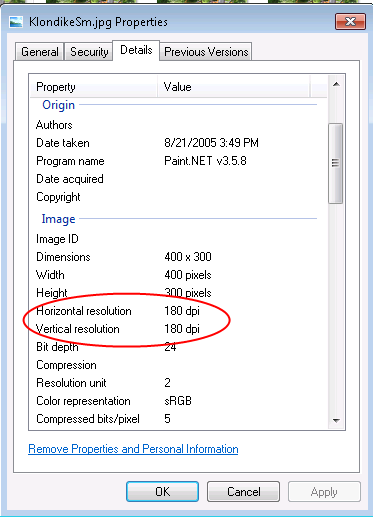 If there is no resolution information in the file, WPF defaults to 96 dpi.